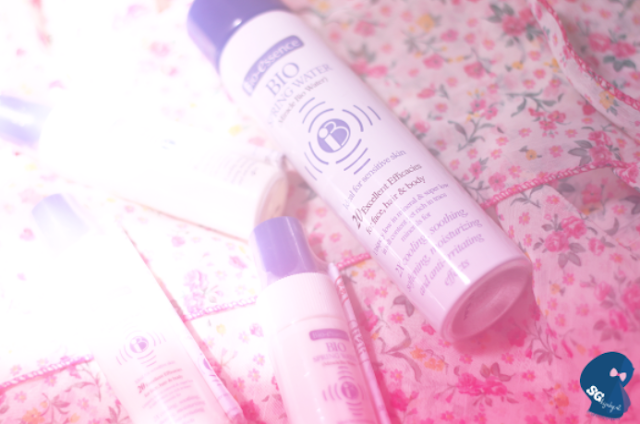 I'm going to review the Bio Essence Miracle Water today! First of all, I've never ever bought any facial mist/spray so this is my first time experimenting with it!. 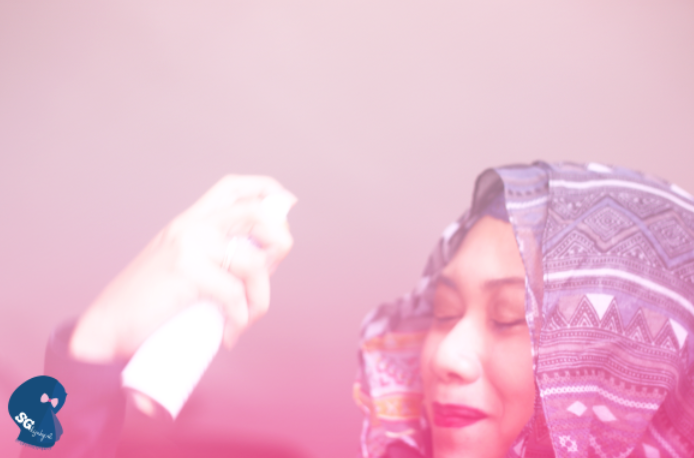 I've tried my friends' facial mists once in awhile but I've never really understood the need for it hehe. Uniquely low in mineral content yet rich in trace minerals to ensure 2X cooling, soothing, softening, moisturizing and anti-irritating effects.Ideal for all skin types, Bio-essence Bio-Spring Water is the coolest spring water that yields the best soothing, anti-irritation and calming effects on skin. Adapting unique Bio-technology to combine Spring Water and Bio-Energy Fluid, Bio- Spring Water contains trace mineral to create energy to stimulate blood and oxygen circulation. When I first received this product, I read the description and was like, whoa! Apparently, it does so many things for your hair, skin, body and even for babies!!! 4-in-1?! The list of benefits is pretty much endless but I decided hmmm, let's try this out first. The consistency is basically just like your normal everyday water. No scent, no funny texture. It absorbs quite fast and I like that. I don't like having the feeling of any product sitting on my face for a long time...waiting for it to get absorbed...yawns. Hehe. I've used it quite a number of times now, before make up, after make up, before I go to sleep, you name it. When I use it before make up: I have combination skin so some parts of my face are actually quite dry, so yes, it does help a bit in speeding up the moisturizing process. 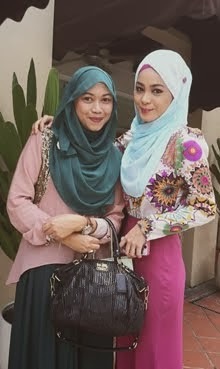 When I use it after make up: It gives me a dewy look and I get to avoid the cakey-ness from the foundation+powder. Not sure if it affects the staying power of my make up cos I don't really put on heavy make up and it usually does stay throughout the day. 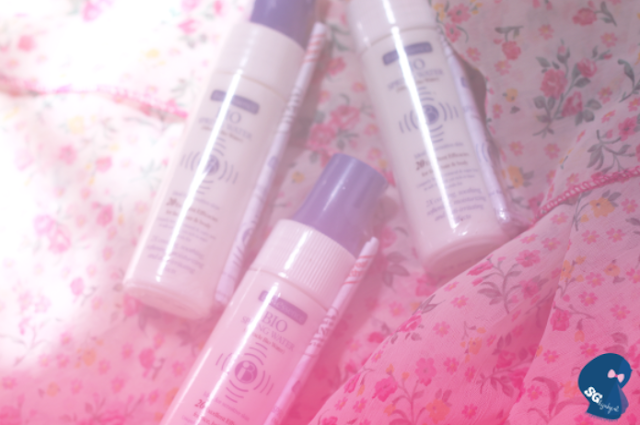 When I use it before I go to sleep: I wake up with supple skin, no joke. 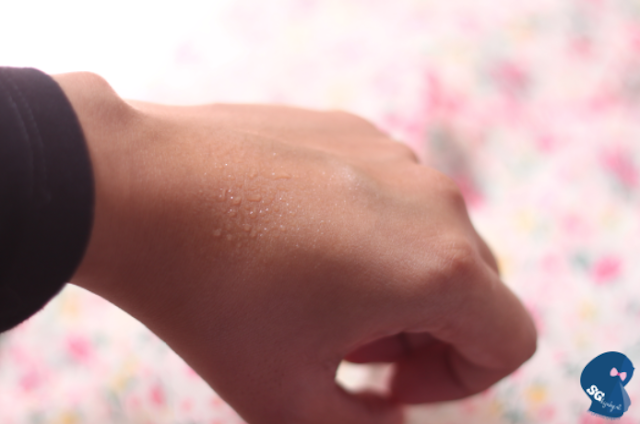 My skin feels smoother! 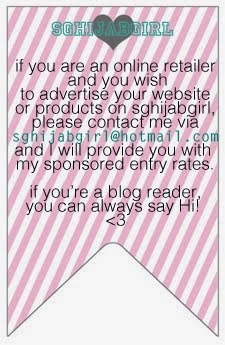 I especially love the travel-sized ones cos I think its the easiest to bring out in your bag or even a tiny handbag. I'll most likely add some stuff to the giveaway pack so just join for fun! 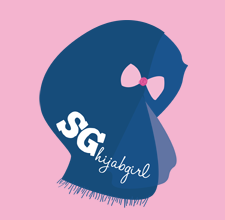 1) Like SGHIJABGIRL's FB page!